We're Proud To Welcome Mary Jo Sikora To Our Staff Of Professionals! Please join us in welcoming Mary Jo Sikora to our staff of professional REALTORS®! Licensed to sell real estate since 2001, Mary Jo has gained a wealth of experience to offer to her buyer and seller clients. She has earned several designations from the National Association of REALTORS® including Graduate, REALTOR® Institute (GRI), e-PRO®, and Accredited Buyer’s Representative (ABR®). She also has an M.B.A. from Youngstown State University. Mary Jo also volunteers her time helping others at Hospice, participates in Toastmasters, was Former Board President-Unity Centre for Spiritual Living, and is a Certified Trainer for Mike Dooley’s Infinite Possibilities. Learn more about Mary Jo. Give her a call for all your real estate needs. It's Official: We're Now CENTURY 21 Lakeside Realty! Still locally owned and operated, Lakeside Realty is proud to announce that we are now affiliated with the CENTURY 21 System! 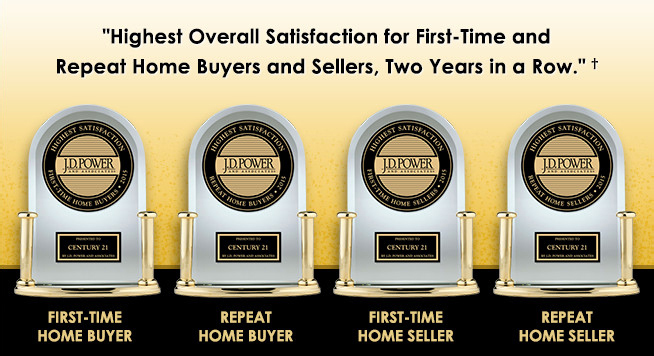 With global brand awareness, powerful lead-generating tools, and a world-class support team, the CENTURY 21 System is dedicated to helping us provide the best possible service to our local buyers and sellers. 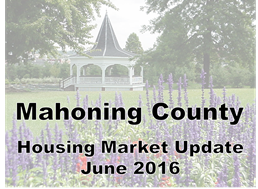 It has been a busy Spring and Summer for Mahoning County REALTORS®. With interest rates continuing at historically low levels, and with one of the most affordable housing markets in the nation, there are lots of good opportunities for buyers and sellers alike. How is the local real estate marketing doing so far this year? Well, let's take a look at the significant housing market trends in Mahoning County for the first six months of 2016 compared to the same period last year. We're Happy To Welcome Dan Shaker To Our Team! Dan Shaker was born and raised in Warren, Ohio, and has lived there for most of his life. With four years experience in the real estate industry, Dan has the knowledge and skill to provide excellent service to buyers and sellers in the Mahoning Valley. He is well organized, detailed, an accomplished negotiator, and possesses a Midwest blue collar work ethic. He is a 2013 Graduate from Hope International University and a Certified John Maxwell Speaker, Trainer and Coach. Give Dan a call for all your real estate needs! We're Happy to Welcome Jacque Iudiciani-Bibb To Our Team! Jacque Iudiciani-Bibb was born and raised in the Mahoning Valley and focuses on giving back to the community. She has pledged to donate 10% of all commissions earned through real estate sales to local valley animal shelters and animal rescue groups. Jacque holds a Master of Science in Healthcare Administration and has a proven track record of top producing sales, marketing, and business development. Contact Jacque for all your real estate needs.